I spent all last weekend at Vogue Knitting Live in Seattle. I used to live in the Seattle area, so the weekend was as much about visiting my local fibery friends as it was about fondling fiber (and coming home with far too many new projects to work on). Although they did not have much in the way of crochet classes (though Crochet for Knitters sold out! ), I went up early to take Introduction to Color with Laura Bryant. I figured after writing an entire book about crocheted colorwork, I should get more intentional about my color choices. She also did a couple of shorter lectures on drawing color inspiration from nature and other artwork, as well as using the "magic number" to work magic with color repeats in hand dyed yarn. After the lecture, I ran right to the booth selling her book, Artful Color, Mindful Knitting, which I'd been planning to buy anyway. I'm so taken with hand dyed yarns these days, I hope to get to work with some of her Prism Yarns sometime soon. Laura's weavings with color inspirations drawn from nature reminded me of the Weaving for Water Project that I recently helped with in my son's 3rd grade class (I had plenty of leftover yarn to donate to the project). 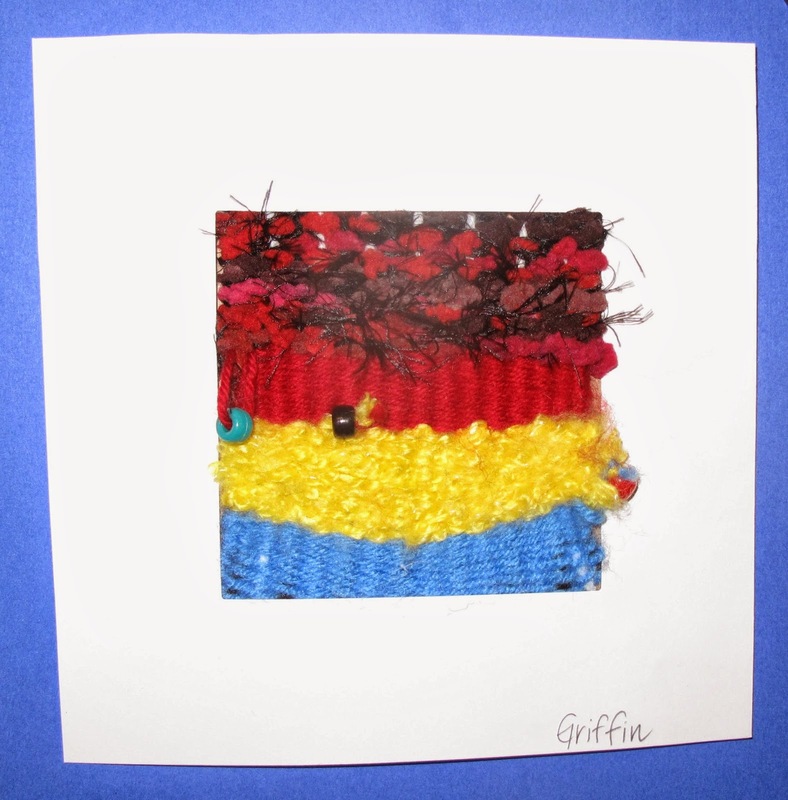 I thought it was neat that my son drew inspiration for his colors from something very specific (the elements in Minecraft, his new obsession), while most of the students just chose colors they liked (or bulky yarns they thought would go faster). I am really glad I thought to contact the instructor and ask if I could take the class as a crocheter. I decided to look for concept/design-type classes (that didn't require knit homework), and am glad I took the initiative to ask. After talking with a couple of the other instructors, I found there were actually a few classes that I could have taken. I hope to take one of Josh Bennett's Design classes next year and maybe Laura's 2 session class on Intentional Patterning with Hand-Dyed Yarns! I think looking at classes from this perspective, rather than taking only classes just for crocheters could be really beneficial. Or I'll just have to remember enough about knitting again so I can take some of the classes that interest me... and then adapt the techniques to crochet. Afterall, two of my most innovative crochet techniques were inspired by knitting! I learned about intarsia from my Dad's knitting, and saw knitted reversible cables on one of the PBS knitting shows and wondered, why don't we do that more in crochet? Then I just started playing with the techniques. What new technique or inspiration will you tackle next?! A cloche hat! Just as soon as I finish a certain cowl . . .